Johannes von Stumm - on form | sculpture: the showcase for contemporary sculpture in stone at Asthall Manor, Oxfordshire. Johannes von Stumm’s choice of media and instinct for experimentation is rooted in his childhood and adolescence at the foot of the Alps, with long winters, ice and rocks. Johannes works in stone, glass and metal, fusing these materials to create symbols of a finely balanced and fragile unity, poised between darkness and light, transparency and opacity, strength and fragility, male and female, life and death. Johannes sources granite from Cornwall and Bavaria, and works with a team of glass blowers on the Isle of Wight. The sculptures are assembled and finished in his studio near Wantage. 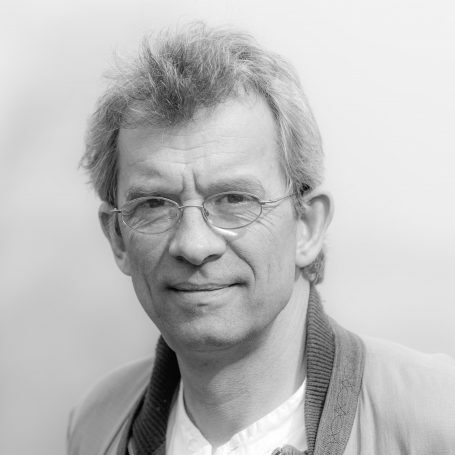 Johannes became a Fellow of the Royal British Society of Sculptors in 2004 and served as President from 2009 to 2012. He is a Founding Member of Sculpture Network Europe, a member of the Deutsche Kuenstlerbund in Berlin and the current President of The Oxford Art Society. In the last few years his work has been on show in the UK, Belgium, Germany, Switzerland, India, China, Japan and the US.